My abstract landscape paintings are soaked in contemplative emotions and an intense dreamlike reverence for the natural world. I derive my visual excitement from nature then depart into abstraction. 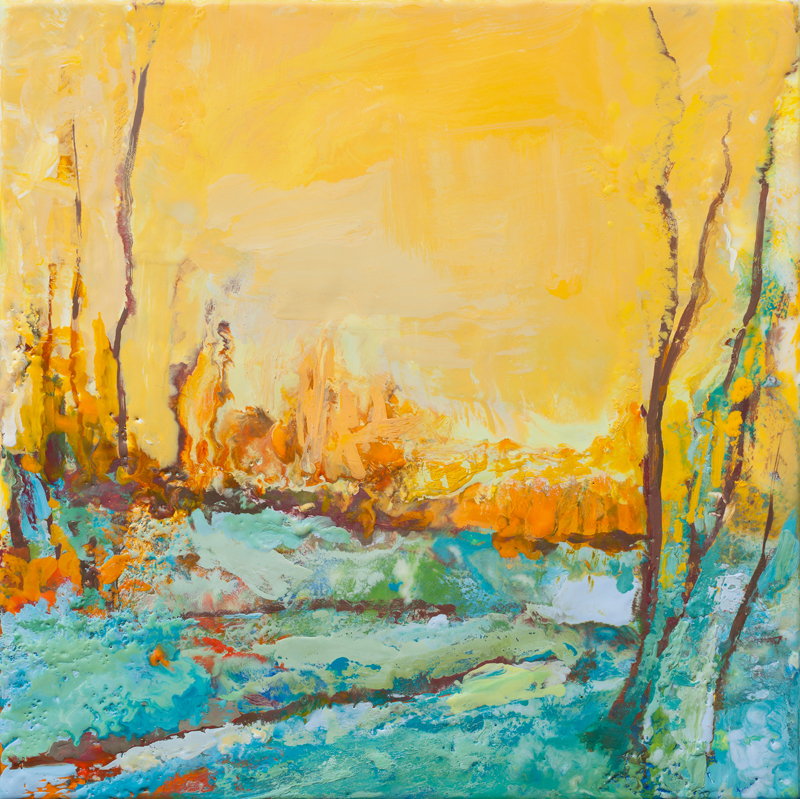 Rather than re-creating a particular landscape on canvas, I aim to express the essence of nature through surface manipulation techniques, layers of colors to build rich textures and through the painting process itself uncover imagery. I am painting landscape from the inside, this is a nonrepresentational approach to a traditional genre, examining the way that nature enters the work of art subconsciously in response to the sheer act of painting. A celebration of the painting materials for their own sake is a primary factor in the finished piece. In addition to being a professional artist. I am also a certified yoga instructor and certified Reiki practitioner. Reiki is a Japanese system for channeling universal life force energy to someone or something for the purpose of healing. It was discovered by Dr. Usui in the late 1800’s. 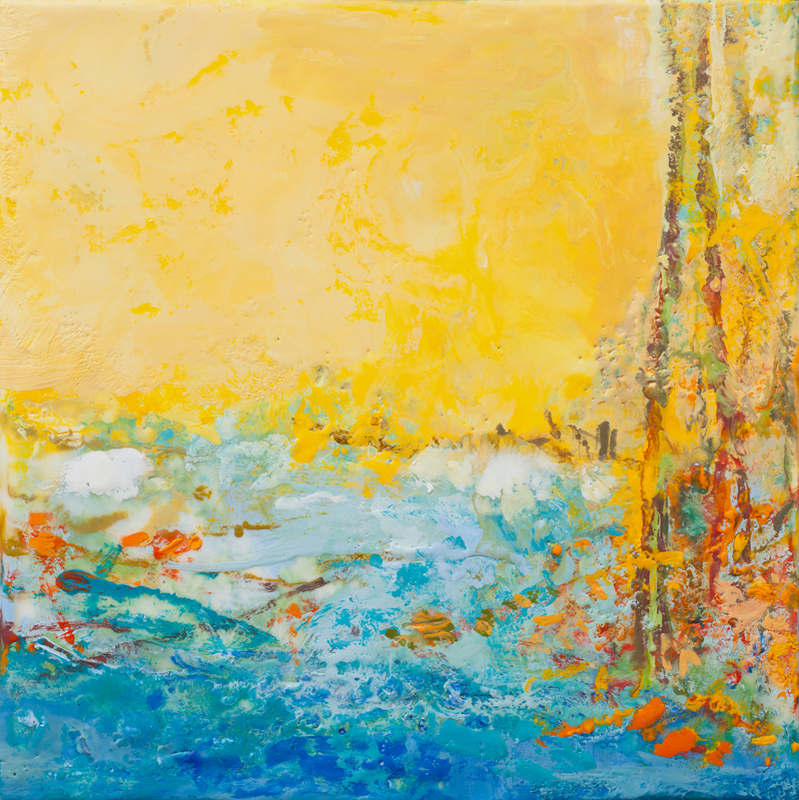 The influence of these two practices contribute to the tranquility and balance felt in my abstract landscape paintings. An important factor as to why my original oils have been commissioned through art consultants for healthcare. I am also well known for my lavish surfaces. It was the exceptional, luxurious textures of one of my large scale paintings, Majestic Whisper, that caught the eye of Hollywood set designer, Dan Clancy. After visiting my Chicago studio, he choose several paintings for the Universal Studios blockbuster movie, "The Break -Up" with Jennifer Aniston / Vince Vaughn. This led to an interview on CBS Channel 2 Chicago News and press coverage with Chicago Magazine, and the Pittsburgh Tribune. From 2009 - 2011 my paintings were featured on Lifetime TV hit series, “Drop Dead Diva.” Commissioned large scale oil paintings and mono prints are included in the following prominent healthcare collections, Northwestern Memorial Hospital, Chicago, IL, Lutheran General Hospital, Park Ridge, IL Central Dupage Hospital, Winfield, IL and St. John’s Mercy Medical Center, St. Louis, MO. I have also created a number of high end residential commissions for art collectors from Florida, Kentucky, and Chicago. According to eastern philosophy the painted landscape is spiritually restorative even when actual visits to nature are impossible. 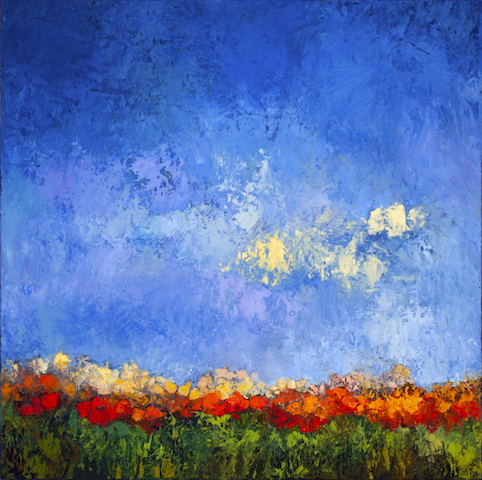 There is a very real sense in which an original abstract landscape paintings can calm and center you, offering those moments of peace and reflection that you so desperately need at the end of a long hectic day. It is my objective to create works of art that will uplift the energy of any interior.